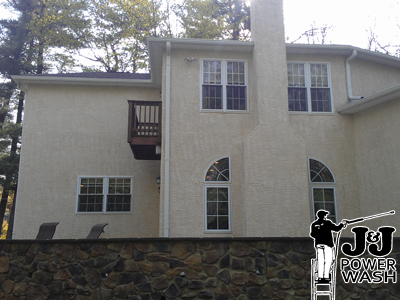 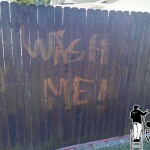 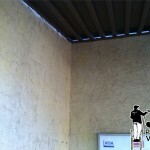 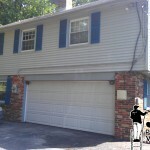 J&J Power Wash offers residential and commercial stucco siding pressure washing services. 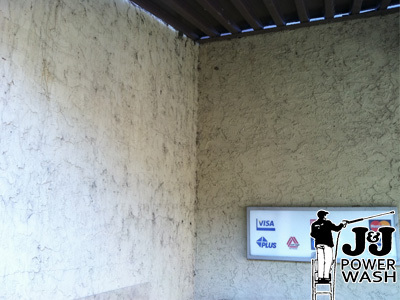 No matter how dirty your stucco is we can help. 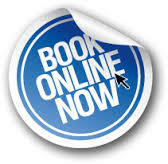 To book a free estimate online, please fill out our online form by clicking here. 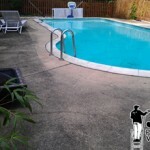 Or if you prefer to speak to a person over the phone we can be reached at 609-431-0853. 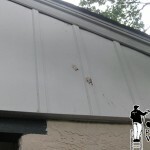 If you are trying to clean stucco siding a pressure washer, regardless whether it is residential or commercial, will generally not do the trick on its own. 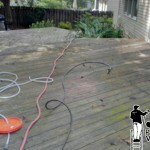 This can be both good and bad for the homeowner. 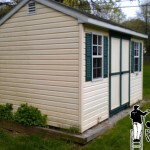 If you are looking for a do-it-yourself project and have a lot of time on your hands you can probably tackle this project on your own. 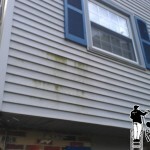 Unlike vinyl siding which you simply spray on a cleaning agent, let it sit there for several minutes, and then rinse clean, cleaning stucco is more of a scrub with a cleaning agent and extendable poles with soft scrub bristles. 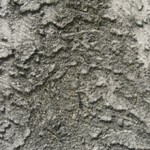 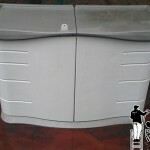 Depending on the size of your home and how dirty your stucco is this could be a one day project or a weekend project. 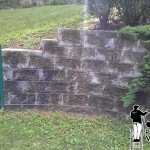 While you can clean any way you want it makes the most sense to start from the highest point and work your way down regardless if you are cleaning a stucco home or a patio wall. 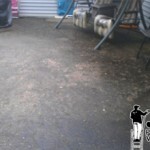 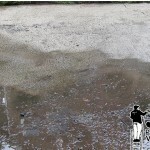 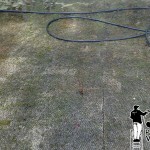 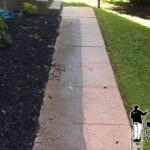 Start by applying a cleaning agent at the highest point on one side of your home with your pressure washer. 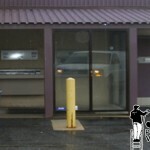 From here it is a waiting game. 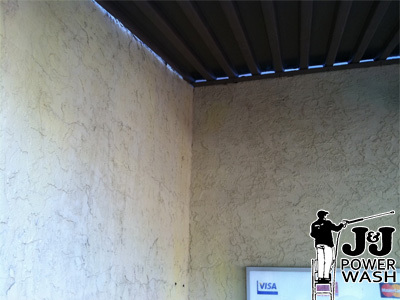 After several minutes take your soft brush with the extendable pole and start scrubbing the stucco. 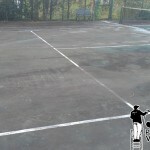 After several scrubs make sure you continue to dip your brush in a bucket with cleaning agent. 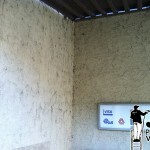 You should notice that the job gets a little easier the further down the wall you get as soap is continuously dripping down from the higher points. 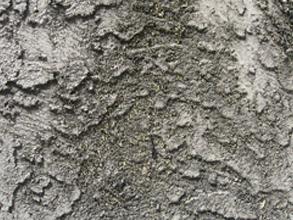 After cleaning a good portion of the stucco make sure you rinse so the dirt does not have time to dry on the wall. 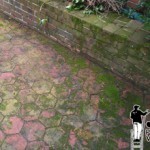 Continue this process on the rest of the house.